Asian Journal of Mathematics and Statistics is serving as a forum to publish refereed, well-written original research articles and studies that describe the latest research and developments in the area of mathematics and statistics. Scope of the journal includes: Finance, economics, mathematics, statistics and probability, theoretical developments and techniques. Asian Journal of Mathematics and Statistics now accepting new submissions. Submit your next paper via online submission system. 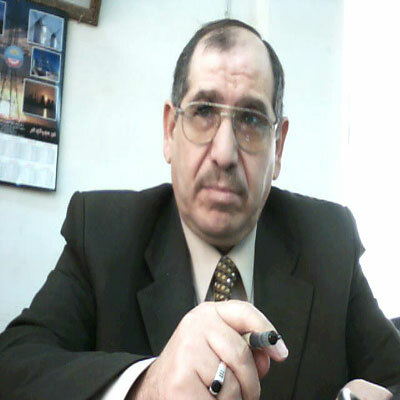 Dr. Haroon Mouhamed Barakat is currently working as Professor of Mathematical Statistics at Department of Mathematics, Faculty of Science, Zagazig University, Zagazig, Egypt. He received his PhD degree in 1986 in Mathematical statistics (Theory of probability-Limit theory) `Limit of joint distribution of variational series` at Moscow state University, Moscow. His prior work experience includes Demonstrator, Assistant Lecturer, Lecturer, Associate Professor and Chairman of Mathematics Department, Faculty of Science, Zagazig University, Egypt and also have teaching experience of visiting Assistant Professor and visiting Professor. He supervised 14 PhD theses and 14 MSc theses. He was invited to deliver lectures in number of conferences and workshops. He is also a member of many Egyptian and National Societies. He is serving as editorial board member of 5 journals and referee of more than 20 journals and also referee of Mathematical Reviews, referee and discussant on the board of the refereeing committees of several Ph.D. and M.Sc. theses for different Egyptian, Arabic and Indian universities and also refereed several papers for the Egyptian and Arabic Journals. He published 7 books as author and 104 research articles in national and international peer reviewed journals as author/co-author. He received number of Awards including Marquis Who`s who has selected his biographical profile for inclusion in the 25th Silver Anniversary Edition 2007 and in 2008-2014 of Who`s Who in the world and award for scientific publication in international journals, etc. Publishing your research in Asian Journal of Mathematics & Statistics is simple and efficient. You will be guided through the submission process step by step. Before submission of your manuscript, it is strongly recommended to read Guide for Authors to minimize the chances of manuscript rejection.